The Hobson lighting collection by Murray Feiss brings the industrial-inspired pendant to a whole new level of modern detail and technology. 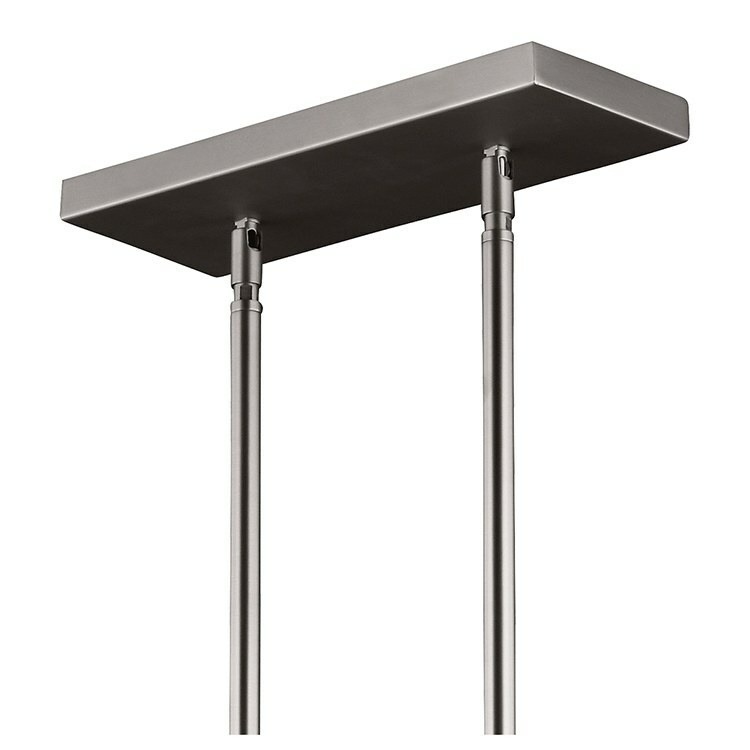 The top pivot adds authenticity, and the large selection of shades and finishes meets any design objective. 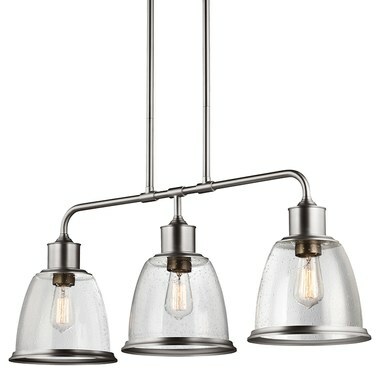 This three-light linear chandelier features a Satin Nickel finish and Clear Seeded glass shades.